Who are these people? What happened to them? Where are they today? Psalm 83 prophesies an end-time confederation of Arab nations that aligns with Assur against Israel. Assur is another name for Assyria (Ezra 4:2; 2 Kings 19:35-37), the name in biblical prophecy for modern Germany. Among the other peoples mentioned in this prophecy are the Hagarenes (verse 6). Who are these people? What happened to them? Where are they today? Forester’s Geography of Arabia says that the Hagarenes settled between the lands of Gilead, Bashan and the Euphrates. Today, this region is Syria. During the reign of King Saul, the Israelite tribes of Reuben, Gad and half the tribe of Manasseh “made war with the Hagarites [Hagarenes], who fell by their hand” (1 Chronicles 5:9-10). Yet biblical history shows that the Israelites often lacked the will to completely drive out or eradicate the peoples they conquered. Under the subsequent reign of King David, Jaziz the Hagarite was the overseer of David’s flock (1 Chronicles 27:31). It is likely that his pastures were located in his ancestral region from a generation before. The fact that this man oversaw David’s flock after the war in the days of Saul shows that the Hagarenes remained in the areas close to Israel. Further evidence of the Hagarenes’ continued presence is found in Assyrian King Sennacherib’s record of his first campaign against Babylon and Elam. He wrote that on his return he conquered numerous tribes in the region, including a tribe he calls the Hagaranu, which is another name for the Hagarenes. In 703 b.c., a group of Chaldeans, mixed with numerous other tribes, rebelled against Sennacherib. A later Assyrian king, Tiglath-Pileser iii, records that the Hagaranu were among those rebels, so the Hagarenes still inhabited the region between Gilead and the northern Euphrates. The historical trail after this point runs cold, and little is known about what happened to this people afterward. Clearly though, the Hagarenes inhabited the area known to us today as Syria. So when Psalm 83 mentions the Hagarenes, it is referring to Syria. Order your free copy of Proof of the Bible or read online. Why is the world’s best-selling book held in awe by some, in passive discredit by others, and understood by virtually none? 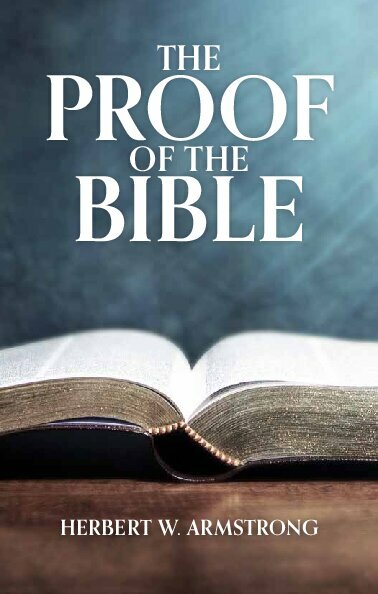 Order your free copy of Proof of the Bible.